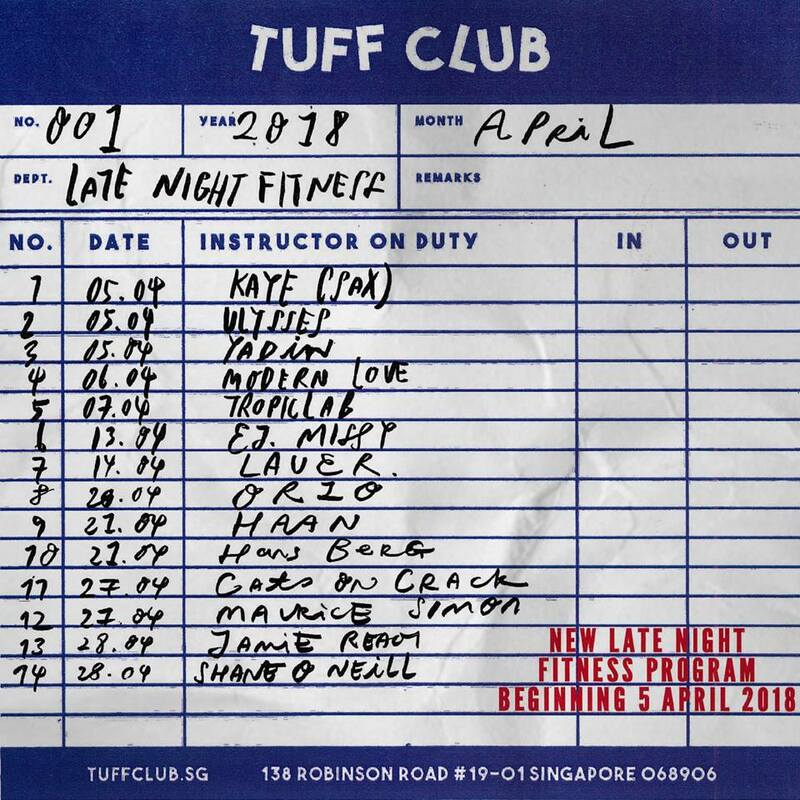 TUFF CLUB, the first ever pop-up club in Singapore, has confirmed a venue and lineup and are set to fuel your nights for the next three months. The Council's new pop-up will open 5 April at Oxley Tower on Robinson Road. Local DJs Ulysses and Yadin Moha (who was involved with the Breakfast Club) will open the party with an eclectic blend of swinging house and soulful grooves, and will be joined by Darker Than Wax co-founder Kaye who will make a special appearance with a live saxophone performance. The party will continue on 6 April with "Modern Love" featuring Adrian Wee and Cats On Crack, while Haan and Jamie React of Tropic Lab will end the weekend on 7 April. Other acts to come include international DJs Lauer, Frankey & Sandrino, and Hans Berg as well as Singaporean DJs EJ Missy and Maurice Simon. Being in the TAF club sucked, and good riddance to it, but TUFF CLUB is here to make burning calories a lot more fun. As they proudly declare, "dancing is exercise", so put on your best shoes and get ready to groove all night. Head over to their Facebook page for more details. TUFF CLUB opens its doors on 5 April at 138 Robinson Road, #19-01 with Ulysses, Yadin Moha and Kaye. A $20 cover will be charged at the door. ID is required for entry.